Supporting programs that provide young people with the skills and motivation to succeed in college. The William McCaskey & Adaline Dinsmore Chapman Foundation was created through the generosity of Mrs. Chapman, who formed it in 1983 to help students obtain educational opportunities that otherwise would not be available to them. She established the Foundation to support in perpetuity the practice that she and her late husband, William McCaskey Chapman, followed during their lifetimes: helping students to pursue educational excellence. Colonel William Chapman was reared in Pacific Grove. Following his military career, he was active in the community and served as Mayor of Pacific Grove. 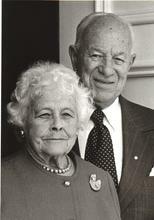 Upon her death, Mrs. Chapman left the majority of her estate to the Chapman Foundation. Since then, the Foundation has distributed over $11 million dollars to more than 125 local educational programs and projects. The Chapman Foundation currently grants funds to non-profit organizations for a variety of educational programs and projects with the objective of motivating K-12 students to prepare for and graduate from college. As specified in Mrs. Chapman's bequest, students benefiting from these grants must reside in a coastal community of Monterey County, California; these include Monterey, Pacific Grove, Marina, Seaside, Presidio of Monterey and its Annex, Del Rey Oaks, Sand City, Pebble Beach, Carmel-by-the-Sea, Carmel Valley, Big Sur, and other unincorporated areas within the geographical area defined by these communities. Grants include support for academic programs and projects in both public and private K-12 schools, need-based scholarships to college preparatory private schools, and extra-curricular programs provided by other non-profit organizations that motivate students to attend and graduate from college.